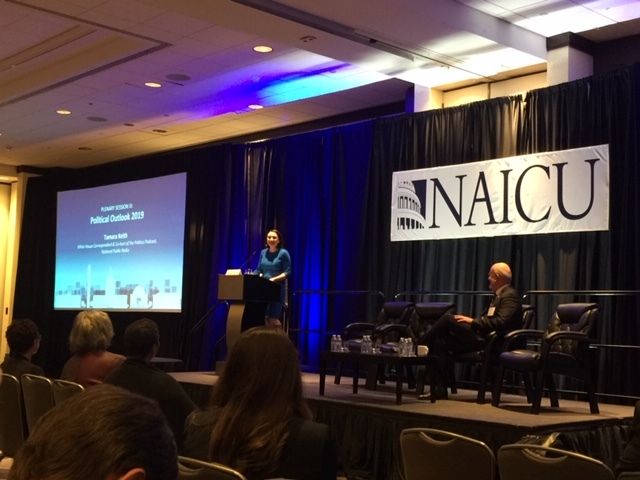 This week, presidents and key executives from NAICU member colleges gathered in Washington, DC, to tackle the tough challenges facing university leadership in tumultuous times. The agenda covered legislative issues impacting higher education, how to succeed in today’s evolving higher education environment and more. Today, over 100 MSCHE attendees came to the Frostburg State University (FSU) presentation on using a data platform to inform institutional assessment. FSU partners with HelioCampus to provide the data infrastructure and data science services to ensure that decision making and resource allocation are well informed by data. Sara-Beth Bittinger, Ed. 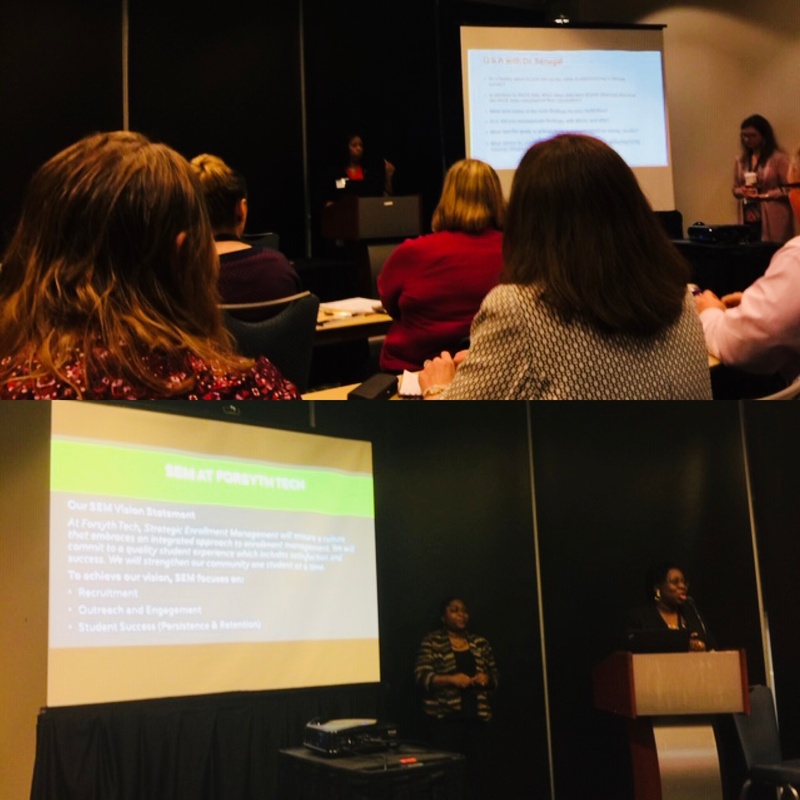 D., Director of Assessment and Institutional Research and Denise Murphy, Assistant Vice President for Finance and Budget, from FSU walked the audience through how data is transformed in the data warehouse and translated into visualizations to inform decision making. Specific examples include analysis and visualization of the elements of the admissions funnel to inform recruitment strategies, efforts to better understand past institutional aid packaging practices to inform current financial aid strategies, and the development of a robust toolkit designed for academic department chairs to help them effectively manage their departments. The mission of the North Carolina Community College System is to open the door to high-quality, accessible educational opportunities that minimize barriers to post-secondary education, maximize student success, develop a globally and multi-culturally competent workforce, and improve the lives and well-being of individuals. The 2018 NCCC Summit was a wonderful opportunity for educators and administrators across the state to come together and share knowledge and best practices for improving educational outcomes. 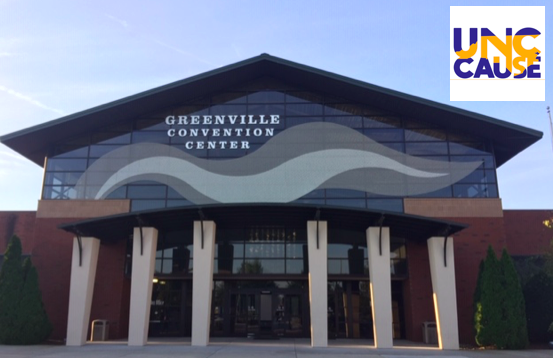 Last week I had the privilege of attending the 2018 UNC Cause annual conference, which was held in Greenville, NC on October 1-3. UNC CAUSE was formed in 1970 by the computing centers of all 16 campuses in the University of North Carolina System. Its purpose? To promote cooperation and information exchange between the campuses of the UNC System in all areas related to information technology.